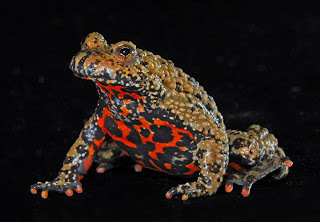 Animal Wildlife | Fire-Bellied Toad | The fire-bellied toad is small to medium-sized species of toad that is found naturally across mainland Europe and northern and central Asia. 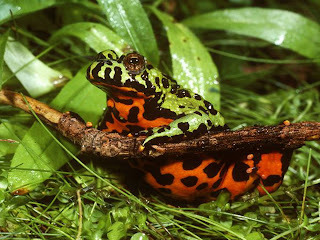 The fire-bellied toad is most commonly known for the brightly-coloured markings on its body, which are predominantly found on the underside of the fire-bellied toad. 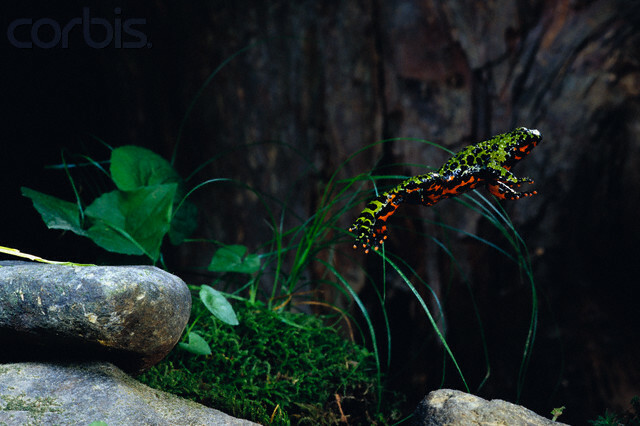 The fire-bellied toad is found close to water in a variety of different habitats. Forest, woodland, temperate rainforests, marshlands, swamps and even farmland, often provides the perfect home for the fire-bellied toad. The fire-bellied toad also spends a great deal of time in water from tiny freshwater, mountain streams to large slow-flowing rivers and lakes. There are eight different species of fire-bellied toad found throughout Europe and Asia. Despite varying slightly in size and colour, the different species of fire-bellied toad all look fairly similar having bumpy skin, webbed toes and eyes on the top of their heads. The different species of fire-bellied toad of so similar that two in particular are able to interbreed and produce fertile offspring. 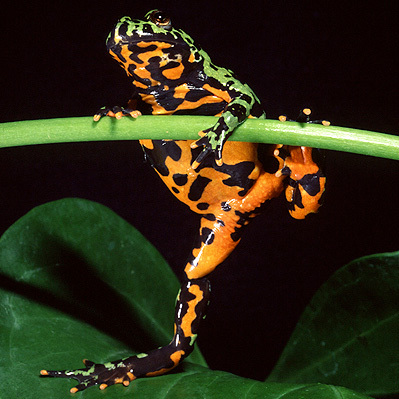 The skin colour of the fire-bellied toad depends on the species but can range from brown to yellow, to green, to orange and even white. 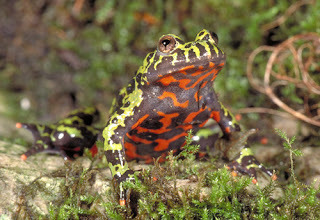 The skin of the fire-bellied toad is known to be toxic to some animals including humans. The fire-bellied toad is a carnivorous animal as the fire-bellied toad has a diet that mainly consists of small invertebrates like bugs and insects. The fire-bellied toad is able to catch its prey by shooting out its long, sticky tongue which grabs onto the insect and pulls it into the open mouth of the fire-bellied toad. 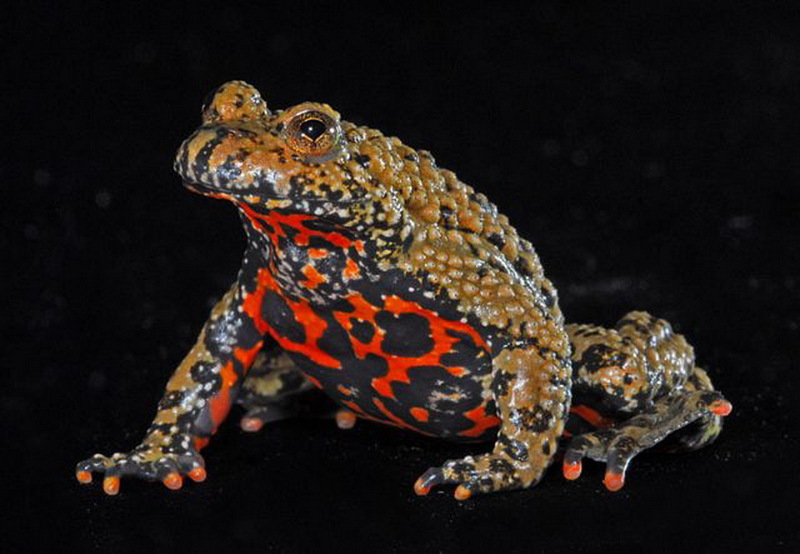 The fire-bellied toad is also known to eat spiders, larvae and the odd worm. Due to its small size, the fire-bellied toad has numerous predators within its natural environment. Foxes, cats, snakes, lizards and birds are the most common predators of the fire-bellied toad along with some species of large fish. The eggs and tadpoles of the fire-bellied toad also have a number of aquatic predators in the water. 0 Response to "Fire-Bellied Toad"